Making out-of-town guests feel welcome should be a priority. "Your guests will appreciate having a source of advice." Offer advice as needed while your guest is making plans. There's a decent chance he or she will appreciate your help – after all, you have far more insight into the area. Share your advice on the best hotels, restaurants and other points of interest around town. Not only will this make your guests' planning process easier, but it will also build your relationship and reputation. If they think of you as a source of knowledge, they're likely to hold you in higher esteem. It may seem obvious, but your office's attitude can make all the difference when it comes to making your guests feel welcome. Make sure you're friendly and positive when talking to clients or co-workers, and make an effort to include them in conversations and events. It's easy to feel like the odd man (or woman) out when you're in a new place, but if you and your office-mates are actively inclusive, guests are sure to feel as at home as possible. When you have guests in town, do your best to give them a proper place to work. Sitting in an abandoned conference room with a laptop for eight hours a day doesn't facilitate productivity. If you have an empty desk or office, you can have them work there for the day. If you don't, try to encourage your workplace to create a work area specifically for out-of-town travelers. This way, you'll always have a place for people who need it. You should always respect your co-workers' and clients' time, but it becomes even more important to do so when they're traveling in from out of town. Changing the time or location of a meeting can throw off their whole schedule, and potentially conflict with flights and other travel arrangements. Keep this is mind when planning the days, and let all of your in-office co-workers know the schedule is inflexible for those meetings. Your guests aren't going to know their way around town the way you do, and the odds are good they're not going to feel comfortable exploring on their own. Give them a place to start by hosting an after-hours outing. This way, your guests have a planned opportunity to relax and unwind, and they have the chance to see something fun and exciting about your city. 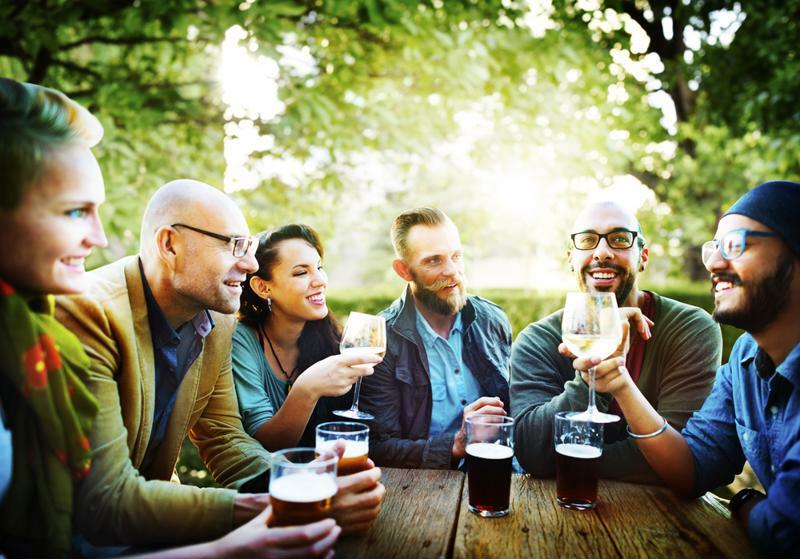 Happy hours are a great opportunity to get to know your guests. This also gives you a valuable opportunity – by hosting a happy hour or similar event, you can connect with your clients or co-workers off the clock. These kinds of events are where valuable bonds are formed, so take advantage of the chance to socialize.